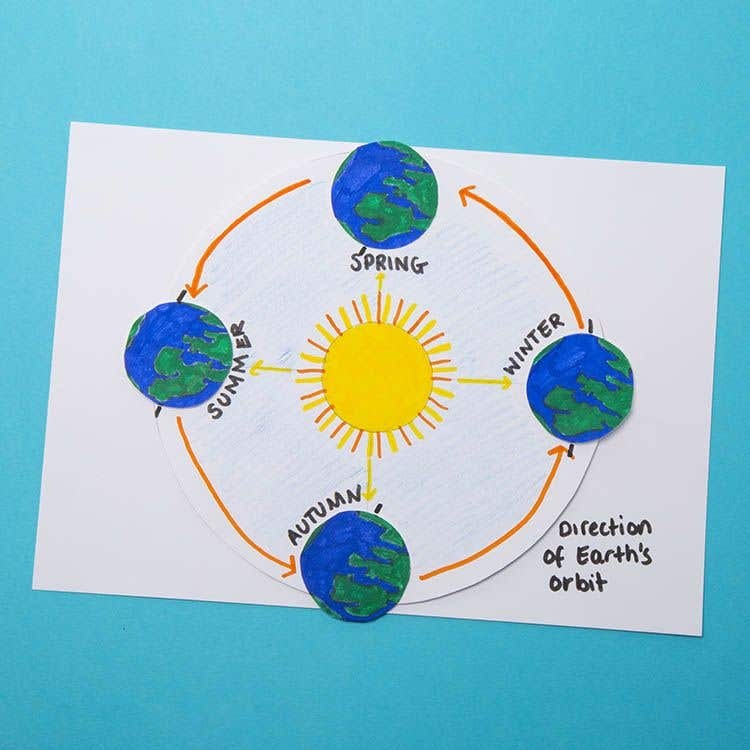 Teach children how the seasons are created when Earth tilts on its axis as it orbits the sun, causing the sun to shine on different parts if the Earth. Take a piece of A4 white card and measure the centre. 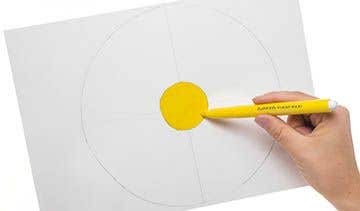 Draw a large circle around it using our template and a pencil. Find the centre of this circle, then draw a smaller circle. Colour in yellow pen and draw rays in yellow and orange around the outside. This will be the sun. There is a smaller circular template. Draw around it four times onto plain white card. Copy the earth from our picture and colour the land in green and the sea in blue. Repeat for each circle. Arrange the planets as shown around the circle, ensuring they are in the correct position. Draw an arrow between each earth showing the direction. Draw a black line across each earth, following our picture, to represent the equator. 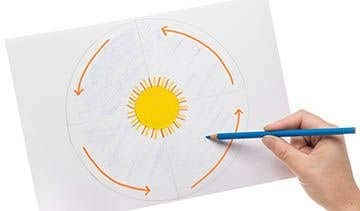 Colour the background of the sun with a light blue pencil. 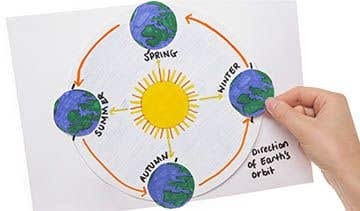 Annotate with the seasons, as shown, using black felt tip pen. For additional information, you can add the March and September Equinox and December and June Solstice, using our picture as a guide. To finish, you can add a ribbon loop on the reverse so that it can be displayed on the wall.